Contra Costa County Library provides access for people through technology solutions, free services, resource information, programs, and more. 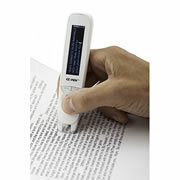 Uses a camera and a screen or monitor to magnify images and text. These machines will magnify small print that you find on newspapers, pill bottles, food items, and will also magnify photos, three-dimensional objects, and more. The magnification of images is up to 70 times their original size, making even the smallest items easy to see. A portable scanning device that reads text aloud in English or Spanish, assisting language learners and those with reading difficulties. These devices are located in Pleasant Hill, Walnut Creek, San Ramon, Orinda, El Cerrito, Brentwood, Antioch, San Pablo, Hercules, and Concord libraries. Use them in the library or check them out for a 3-week lending period. Hearing Assistive Technology (HAT) - induction loop systems are available at all Contra Costa County library locations. These devices may be used with the t-coil in your hearing aid or we have receivers that may be used with a headset. Kurzweil software is available at the Antioch, Dougherty Station, El Cerrito, Hercules, Kensington, Pleasant Hill, and San Pablo libraries. Rollators (Rolling walkers) are available at the Antioch, Brentwood, Clayton, Concord, Danville, Dougherty Station, Hercules, Lafayette, Moraga, Oakley, Orinda, Pinole, Pittsburg, Pleasant Hill, San Pablo, San Ramon, Ygnacio Valley and Walnut Creek community libraries. How to log on to ZoomText at the Library. How to Use ZoomText functions. Contra Costa County Library considers the needs of users with disabilities in the planning and layout of public programming and meeting spaces and facilities. The Library makes every effort to provide reasonable accommodations as requested by individuals with special needs with 72 hours notice. To request an accommodation for any of the Library’s programs, services, or activities, please inform the community library manager of your accommodation request. Contra Costa County's first Insiders Program began at Antioch Library in 2007. 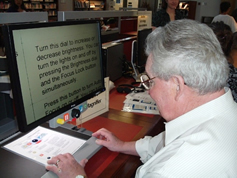 The Insiders Program was developed to encourage adults with intellectual and developmental disabilities to feel comfortable navigating the library, using available resources, and communicating with Library staff. As a result of the success and necessity of the program, the Insiders Program has spread to other Contra Costa County library locations. Antioch Library - The Library provides programs twice a month for the Tuesday Club. Scheduled with ARC Inroads - a community-based program for adults with developmental disabilities. 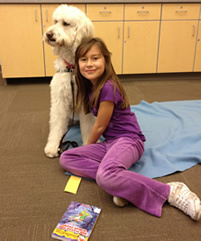 Concord Library - Second Wednesday of each month is All Ears Reading - Insiders: In partnership with ARF, adults are able to practice their reading skills by reading to dogs. Fourth Wednesday of each month is the Wednesday Club - Insiders: Our new club plans on a variety of activities and guest speakers. 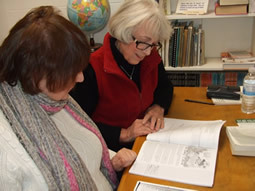 Danville Library - Meets 1st Thursdays of the month at 10:30 am. Arts and crafts activities, special presentations, and social interaction. Hercules Library - Meets once a month on Thursdays. This group is just forming with many upcoming programs planned. Scheduled with Pathway to Choices, RESSuccess, The Transition Program at WCCUSD, Cole Vocational Services, Guardian Adult Day Health Center, and The George Miller Center. Lafayette Library and Learning Center - Meets most second Mondays of the month at 1:15 p.m. Arts and crafts activities, games, special presentations, movies, and social interaction. If you are interested in attending or have any questions, please contact Chris Gray at cgray@ccclib.org. San Ramon Library - Meets on the third Wednesday of each month from 1:00 p.m. - 2:00 p.m. Programs include crafts, games, technology programs, guest speakers, and other activities. If you are interested in attending any of these programs, please call the San Ramon Library at 925-973-2850. Walnut Creek Library - Meets the second Monday of every month unless a special program is planned. Programs include crafts, games, scavenger hunts, technology programs, and movie days. All of our community libraries are using pictograms to help library users, including those with learning differences, those for whom English is not their native language, and those who are adult learners, navigate the Dewey Decimal System. The pictograms are excellent examples of universal access. Read more about pictograms here. How "Service Animal" is Defined, Where Service Animals are Allowed, Service Animals Must Be Under Control, Inquiries, Exclusions, Charges, and Other Specific Rules Related to Service Animals, and Miniature Horses.